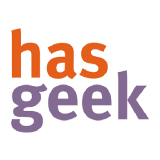 HasGeek creates discussion spaces for geeks. We host @rootconf, @metarefresh, @fifthel, @jsfooindia, @droidconIN, @50pConf, @KilterCon, and @hasjob. HasGeek hasn’t been active on Medium yet. Check back later to see their stories, claps, and highlights.